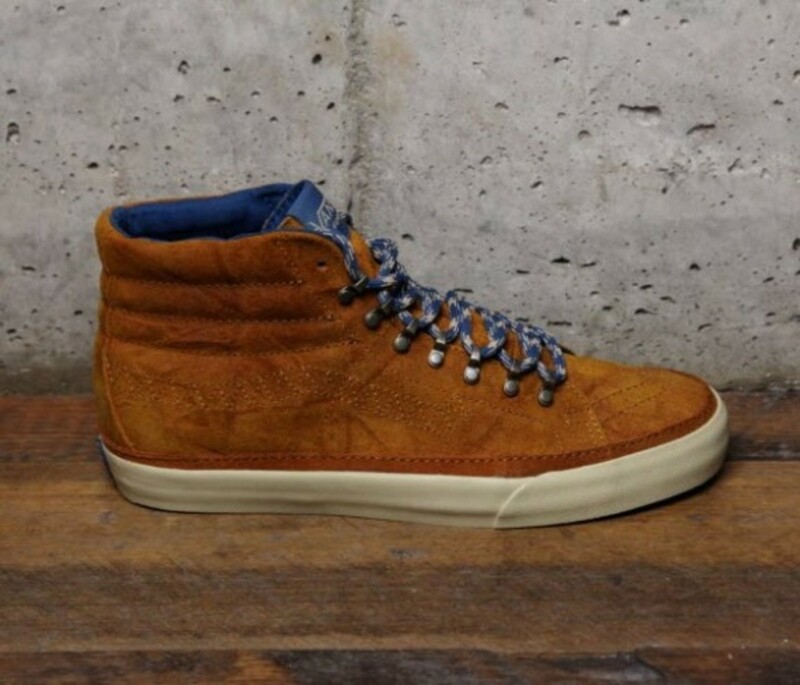 Hiking looks are everywhere this time of year and VANS California&apos;s latest release of their Sk8-Hi Hiker is right in tune with the demand. 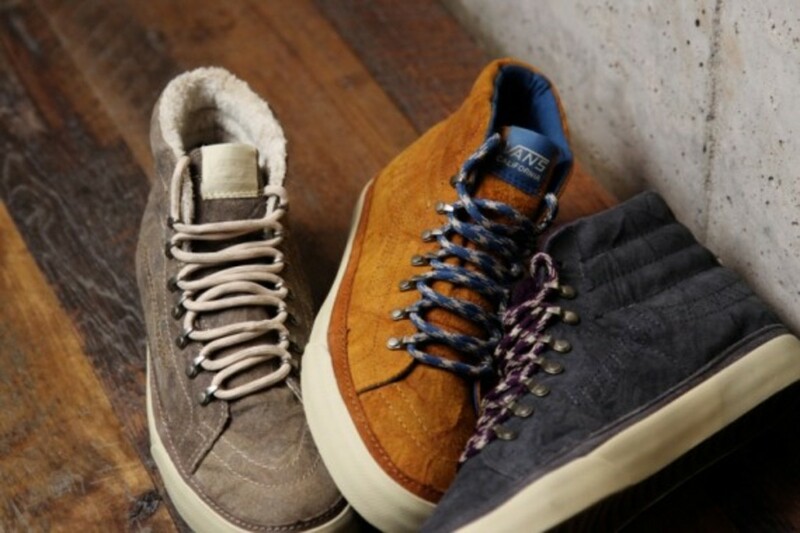 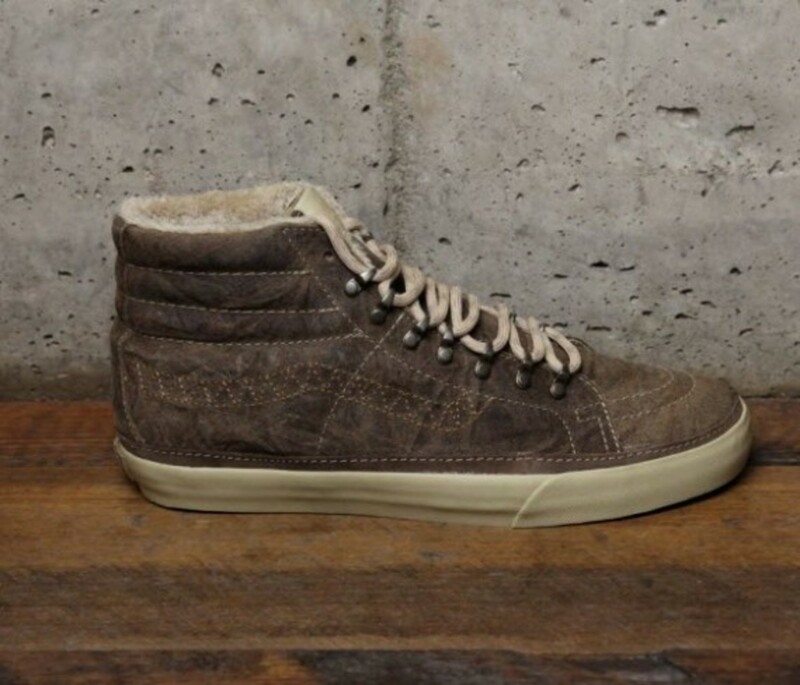 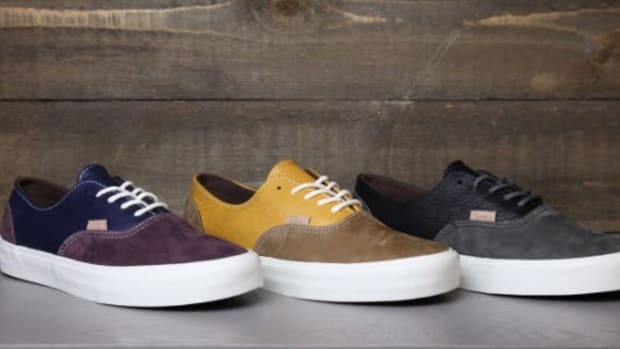 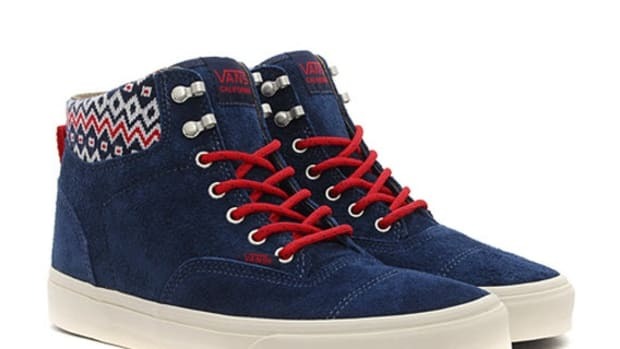 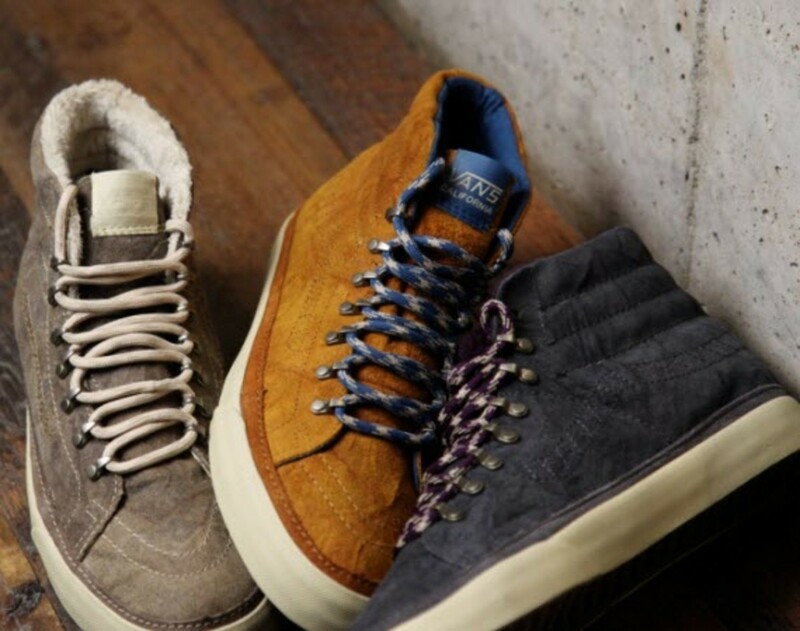 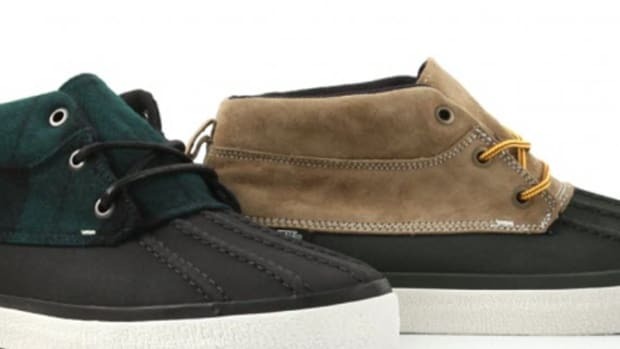 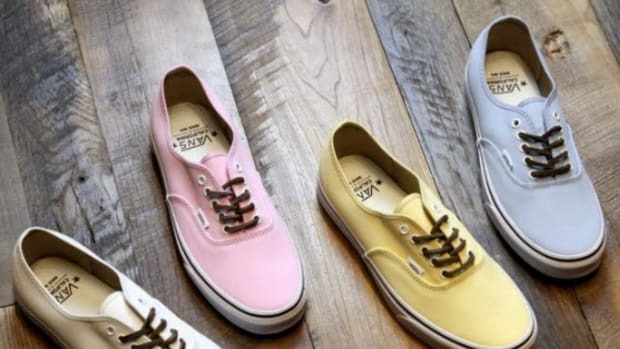 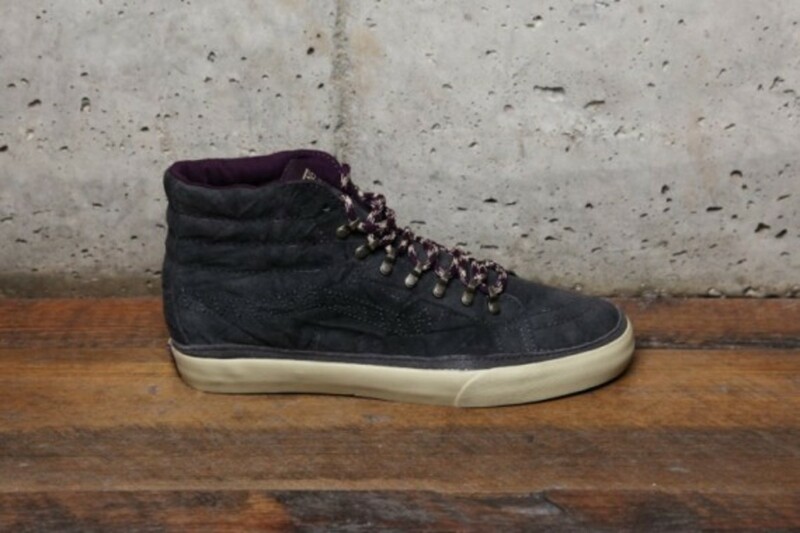 To start, VANS does a great job transitioning the look from the skate world to the great outdoors with the use of premium aged leather, brass boot eyelets, and technical laces in place of the usual mix of canvas, suede, and leather. 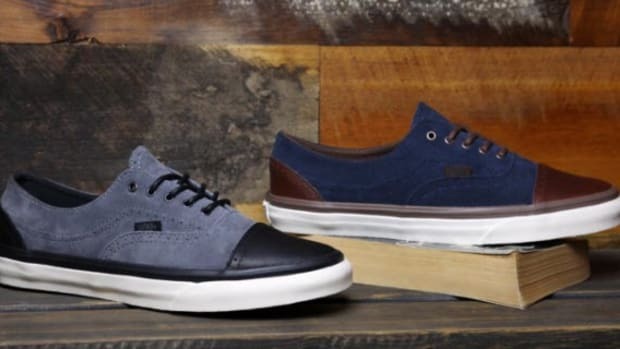 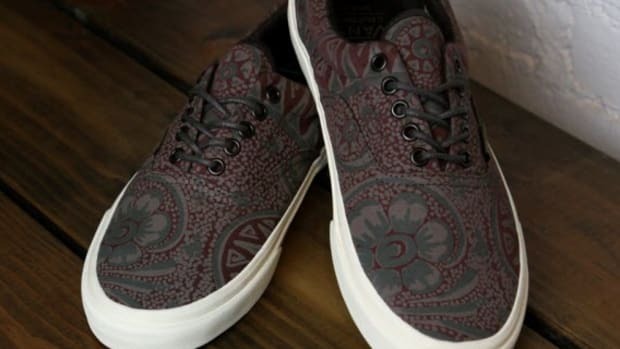 But the most interesting change is hard to notice at first: the signature VANS waffle outsole has been inverted underneath to allow for more grip and surface area on dicey terrain. 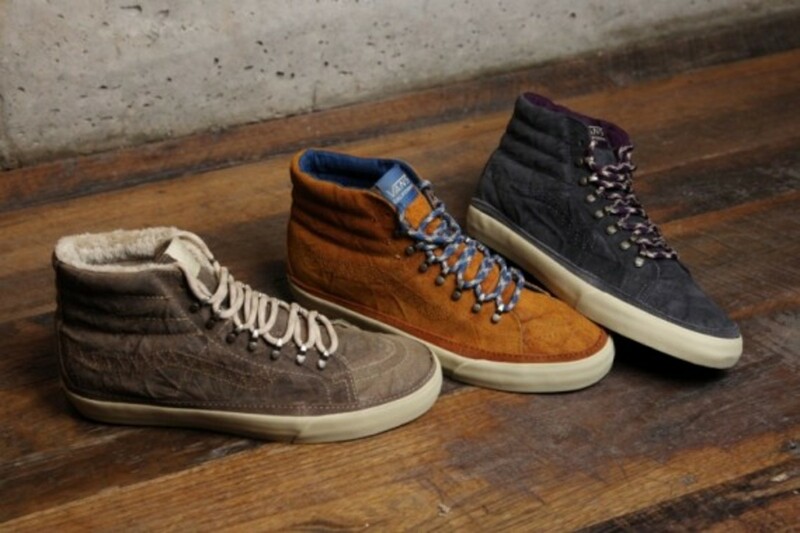 Three colorways are now in store and online at VANS DQM General, a Gold, a Castlerock, and a fleece-lined Incense. 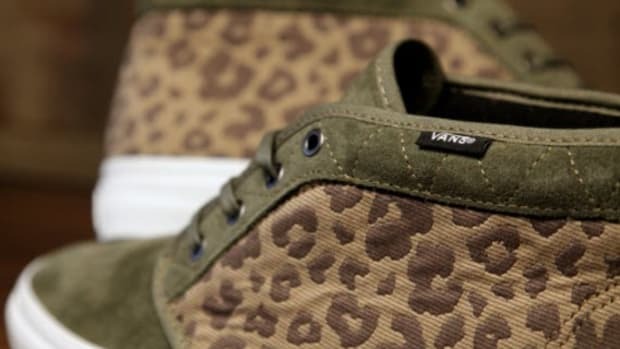 Check out more looks after the click.